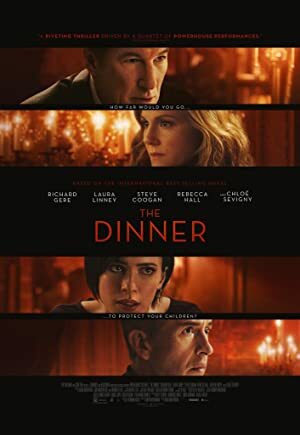 The Dinner (2017) – What's New on Netflix Canada Today! A former history teacher and his wife Claire meet at a fancy restaurant with his elder brother, a prominent politician and his wife Babette. The plan is to discuss over dinner how to handle a crime committed by their teenage sons. The violent act of the two boys had been filmed by a security camera and shown on TV, but, so far, they have not been identified. The parents have to decide on what to do. Two brothers and their wives meet for dinner at an exclusive dining establishment. But their evening out together has a painful hidden agenda.